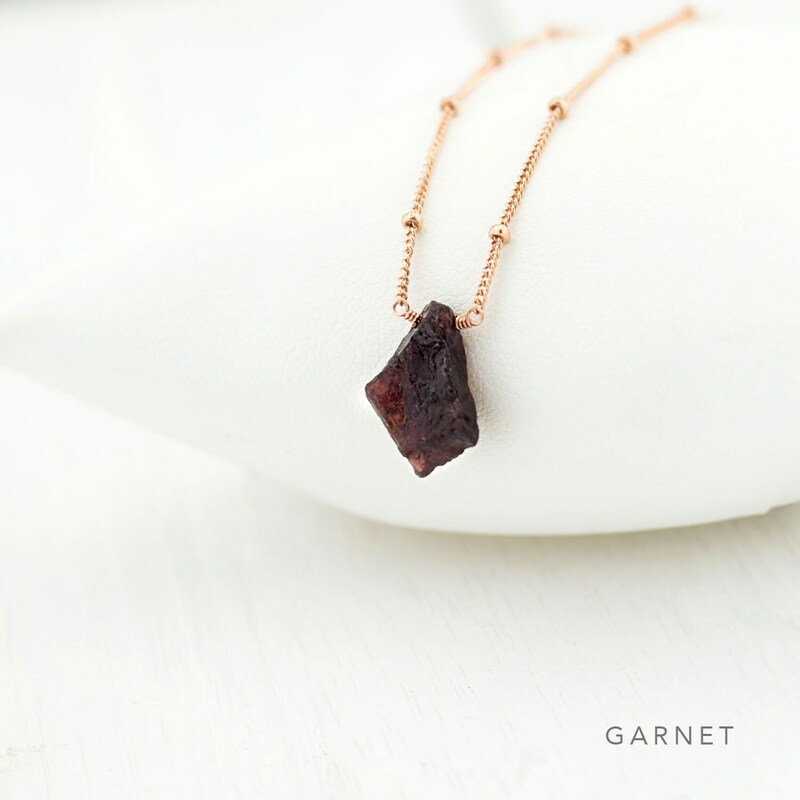 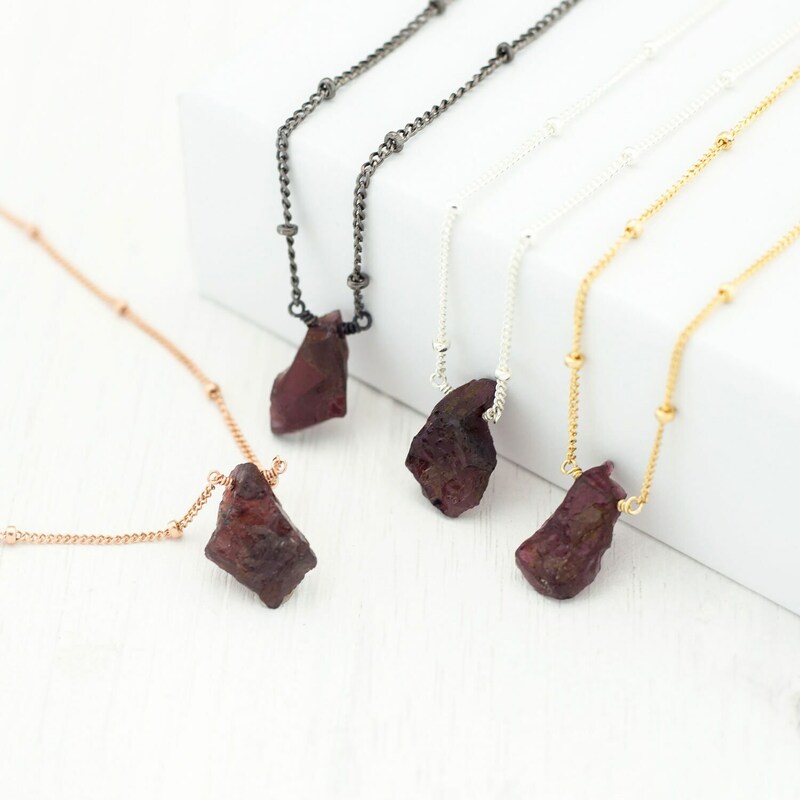 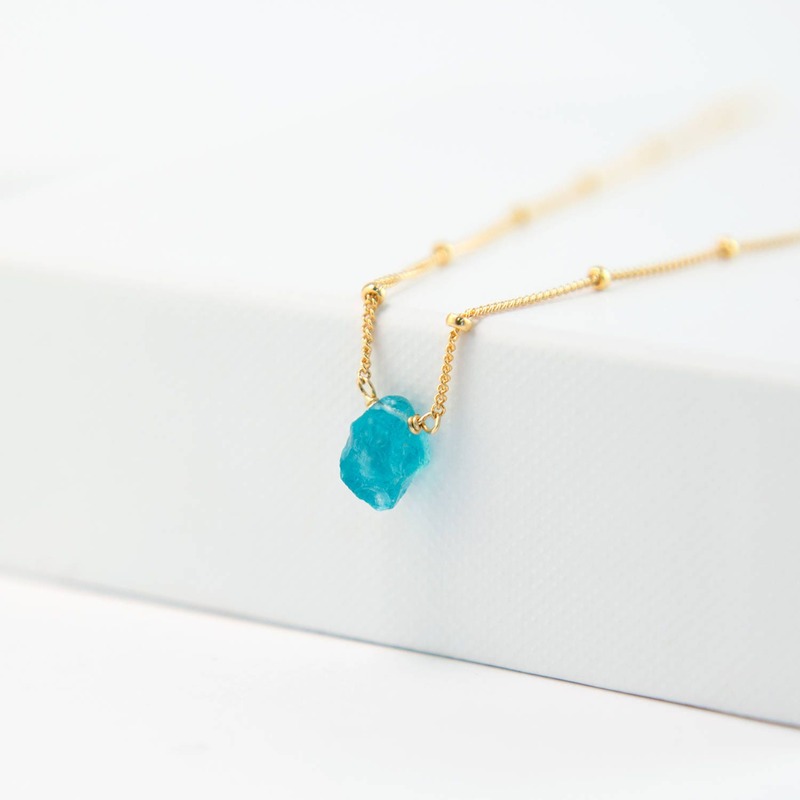 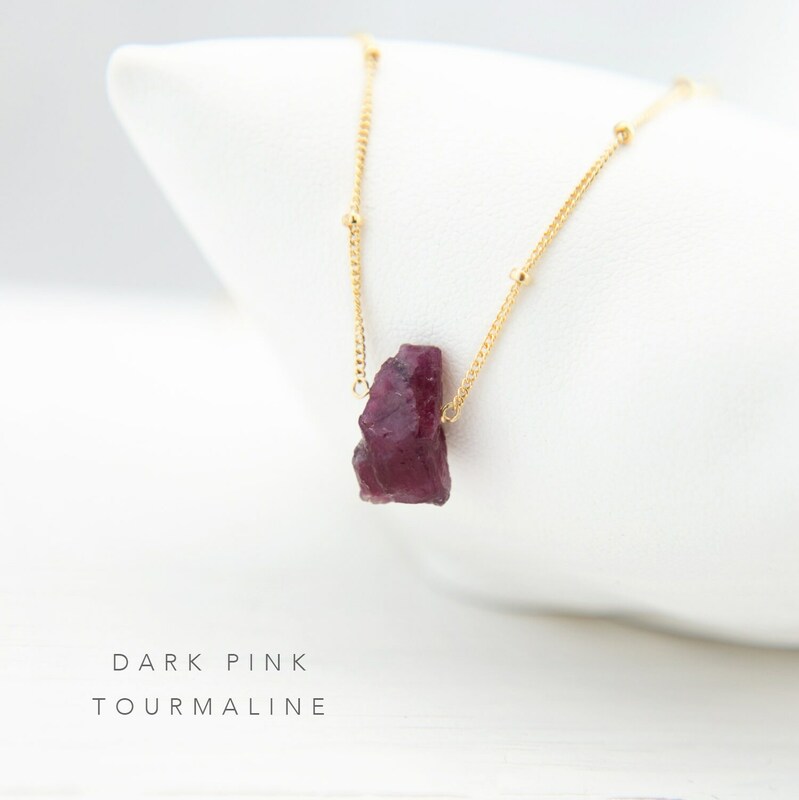 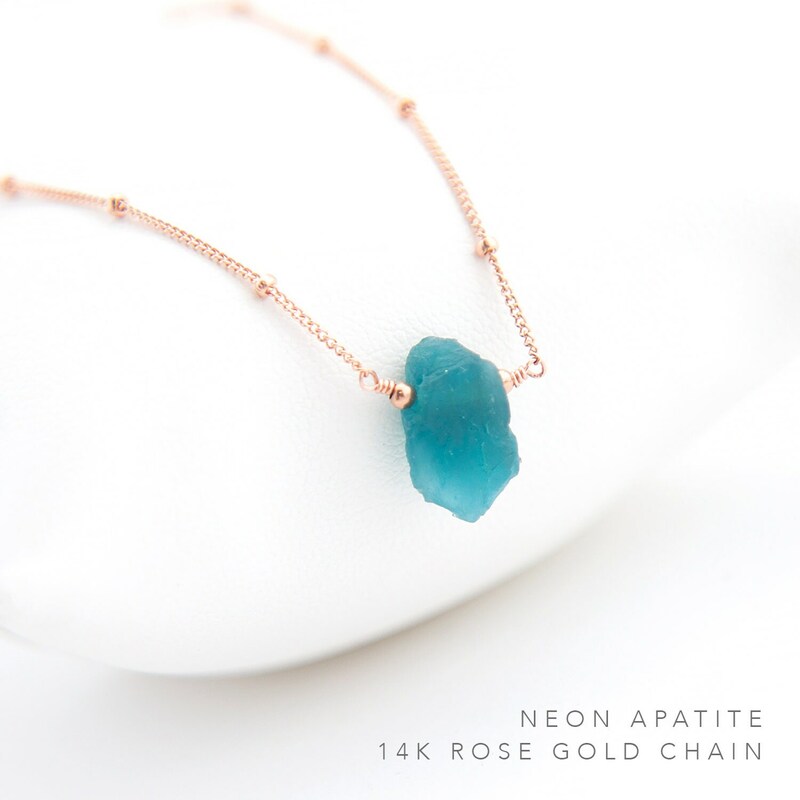 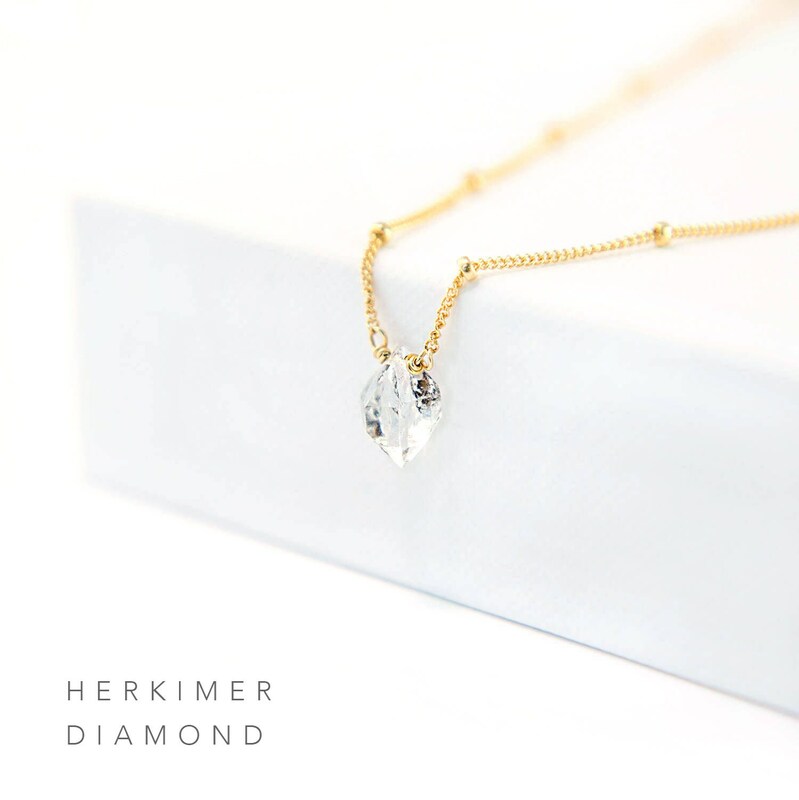 This dainty necklace features a stunning, raw Herkimer Diamond, Apatite, Dark Pink Tourmaline, Neon Apatite, or Garnet nugget hanging from a 14k Gold Filled, Sterling Silver, Oxidized Sterling Silver or 14k Rose Gold Filled satellite chain. 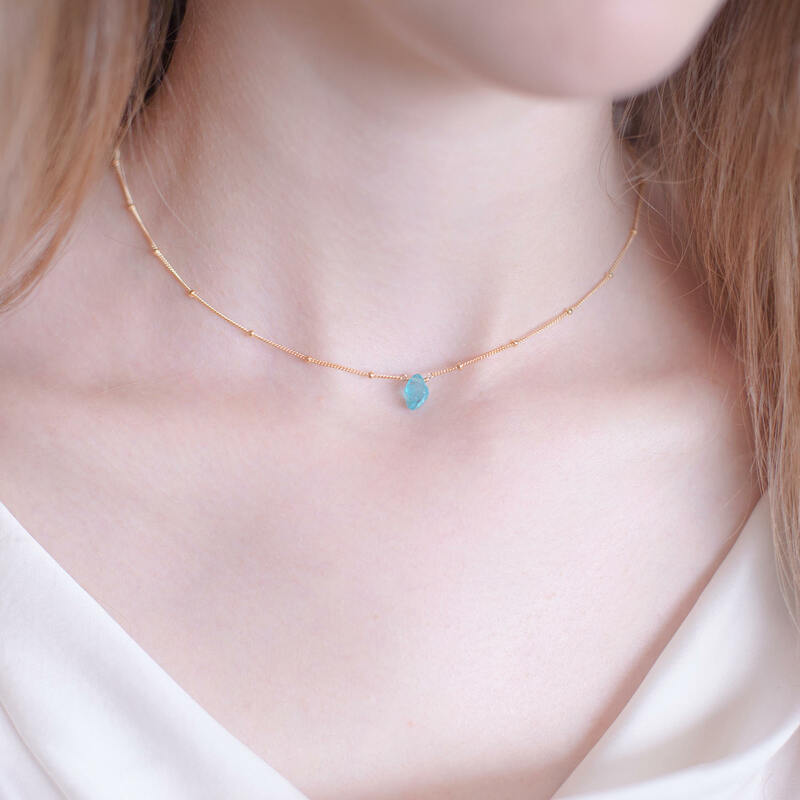 This necklace is simple enough for everyday wear, and looks great as an edgy choker! 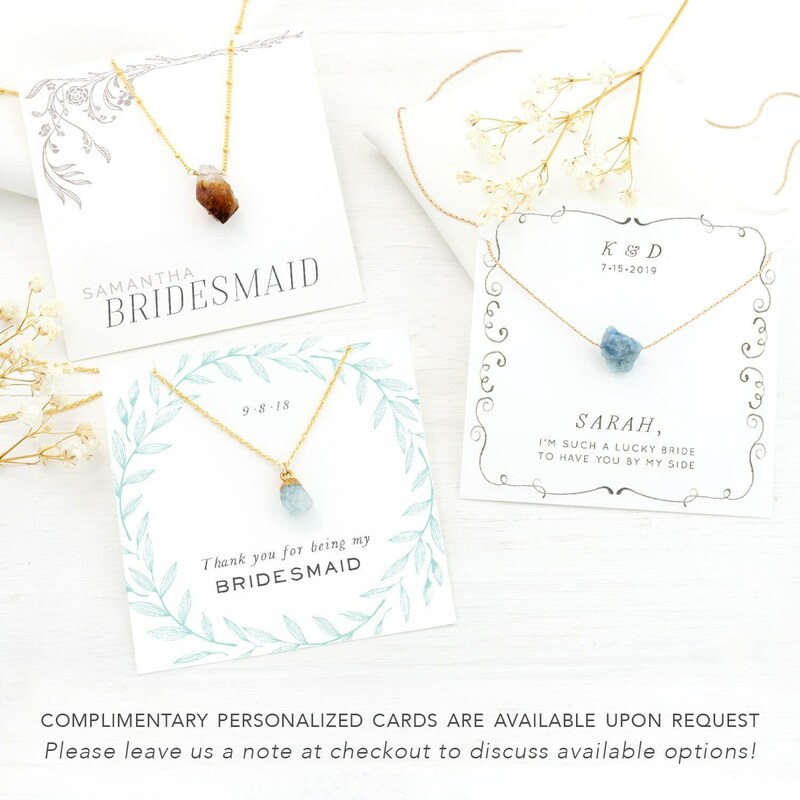 Necklace received was not at all what I ordered, but shop quickly provided me with a return label and issued a full refund upon receipt of the return.